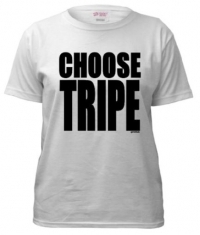 The Tripe Marketing Board is fighting a rear-guard action to ensure tripe regains its place on the dinner tables of the nation. We're funnier than bananas, kippers and cheese strings - in fact, we're the ultimate comedy foodstuff, according to research done by Professor Richard Hawkins at the University of Wigan! Most of all, we're cheap.